Sending any child to school may often cause a parent great anxiety. The thought of leaving their little angel in the care of strangers for an extended period of time can be worrisome. This anxiety becomes ten-fold when sending a child with diabetes to school. No one can possibly care for our child as well as we do so how do you keep your child as safe as possible when you aren’t there? If you live in the USA, you should have a 504 Plan in place that outlines the quality of care and responsibilities legally required by the school. If you live in Canada the road is not as clear. In Canada, education policies are regulated on a provincial level. While there may be a provincial policy regarding the care of children with diabetes in school, there often also are school board policies as well. Click on the text to find policies for Eastern Canada, Western Canada, the Atlantic Provinces, and the Territories. Policy or not, 504 Plan or not, your child must still be educated and it is still the parents’ responsibility to do as much as they can to prepare the school to care for their child. Contact your school and ask for an in-service with all personnel who will be in contact with your child. 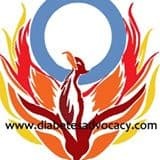 Have your CDE or public health nurse attend to ensure that everyone is properly trained and aware of what is involved in having a child with Type 1 diabetes in their school. If your child is on an insulin pump, you may wish to show the pump or have pictures of it made available so that everyone understands that it is a piece of medical equipment. You may also wish to go over some of the alarms so that staff are aware of what to do even if your child is either too young to understand or not able to communicate at that time. Ensure that your child wears his/her MedicAlert identification at all times. Provide your child with an emergency kit—preferably a red box or something else that is easily identifiable. On the outside of this kit paste instructions for hyper and hypoglycemia. Also, include emergency contact names and phone numbers. Inside the kit should be such things as fast-acting glucose, glucose gel, ketone strips, spare supplies, etc. This kit should be kept in a safe place that is known to the child’s teacher and/or aide. Ensure that your child has a glucometer for school that is working and kept well stocked with strips. If you do not have insurance that covers a spare meter, you might wish to speak with the Customer Service people at the meter company with which you deal. They will often provide spare meters for such purposes. A pharmacist may also be able to help with this. care. A bright folder or duo-tang with a photo of your child with diabetes pasted on the cover and the pertinent information on the inside is a good idea. identify the child with diabetes in the class. Further, for larger schools, a poster with your child’s photo again and information regarding his/her care may also be posted in the staff room so that all personnel are aware of the child and his/her special needs. You may also wish to print off posters regarding the symptoms of highs and lows to be posted in your child’s classroom as well as in the staff room. Included below are samples of personal guidelines that you may wish to use to outline the care required for your child in school. Diabetes is one of the most common chronic illnesses found in school-aged children. Despite that, there is a huge need to ensure that your school district, your administrator, and your child’s teacher is comfortable and well educated in the way you and your diabetes care team have deemed appropriate for your child with diabetes. All school personnel who will come in contact with your child must have a basic understanding of the disease. A specific number of staff members should be trained in your child’s daily care as well as how to handle emergency care. It is vital that all staff understand that all students with diabetes will need help with emergency diabetes care. This education should be done with both the parents and either a Certified Diabetes Educator (CDE) or your local Public Health Nurse. Whenever possible, have at least two staff members trained in the use of Glucagon. In the case of severe hypoglycemia, one staff member should be administering Glucagon while the other calls 9-1-1 and then the parent/guardian. It is also vital that schools understand the insulin pump if your child is using one. A child on a pump can go into DKA within hours of a pump malfunction and therefore a high must be treated as a serious event as well. Diabetes Canada KIDS WITH DIABETES IN SCHOOLS offers some great guidelines and posters for hyper and hypoglycemic emergencies. It also brings to attention some of the concerns that teachers may have that need to be addressed by parents. The “Test Your Knowledge” Section could easily be used to aid in a presentation or in-service with staff. Information for Teachers provides an excellent overview of diabetes care, terms, and what to do in various situations. Insulin Pump Agreement is written using mg/dl but may be altered to suit individual needs. Insulin Pumpers: Letter to Teachers and Coaches This is an excellent and comprehensive letter explaining diabetes, insulin pump therapy, as well as emergency procedures. It is formatted to be customized to the child’s needs and information. It is currently written in mg/dl format but can be altered as well. http://www.pedsonline.org/free_materials/Chapters_5_6.pdf are good sources of general and specific information regarding Diabetes. The above links also contain pages which specifically outline how to treat hyper and hypoglycemia as well as how to prepare and use glucagon and glucose gels. See page 21 for Glucagon use. 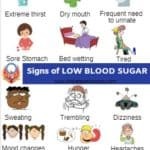 The signs of high and low blood sugar levels. longer able to function properly. In the case of Type 2 diabetes, the insulin produced is not used properly to convert food into energy for the body’s cells. For those living with Type 1 diabetes, the insulin-producing cells have been completely destroyed by the body leaving the person dependent on an external source of insulin given either through injection or subcutaneous infusion via an insulin pump. What are blood glucose levels and why do they matter? Your blood glucose level measures the amount of “sugar” in your blood. It is this “sugar” that acts as fuel for your cells. In a healthy person, this level should be between 4-7mmol/L after fasting and between 5-10mmol/L 2 hours after eating. For a person with diabetes, the ideal is to be able to artificially maintain these levels. That is not easy. A person with diabetes will also have low blood glucose levels as they try to balance food, exercise and illness. When a person is “low” of HYPOGLYCEMIC, their blood glucose level has dropped below 4mmol/L and they must be treated immediately. If they are conscious, they can be given some juice or other form of pure sugar to restore a natural balance. If they are unconscious they must be administered a Glucagon injection to further avoid seizure and possible death. A person recovering from a “low” cannot be left alone. When someone is hypoglycemic, they are often shaky, disoriented, weak, and may seem tired. This is a very serious condition that can deteriorate rapidly. Can a person with diabetes eat sugar? As you have already read, all food breaks down into sugar. A person with Type 1 diabetes has no more dietary restrictions than the average person. Like a healthy individual, they are encouraged to follow a balanced diet but small treats can easily be added into their meal plan and insulin injected to cover it. That being said, NEVER give a child with Type 1 diabetes any food without first checking with the child’s parents (this, of course, does not include the use of food in the treatment of a “low”) While any food can be eaten, it must be measured, given at the proper time and with the correct amount of extra insulin. Why is diabetes a big deal? Diabetes currently affects over 3 million Canadians. While the majority of those people have Type 2 diabetes, there are still a significant portion of Canadian living with Type 1 diabetes. While there are now many treatment options for people living with diabetes, it can still lead to kidney failure, heart disease, impotence, blindness, and amputation. ______’s blood sugar goal is 130, an acceptable range is 90-160. It’s safer to be a little high than a little low, err on the side of caution. when his blood sugar is below 90 and above 250 and as often as you feel necessary. Please don’t reference his blood glucose values as “good” or “bad” — they’re just numbers to help us keep him healthy. We don’t want him to think a “bad” number is a reflection of something he has done wrong. Managing diabetes is an art and a science, so many things affect blood sugar and we don’t have all the pieces of the puzzle so what may work well one day may not have the same effect the next day. The information we are providing are not hard fast rules, but general guidelines. A big dose of common sense and logic along with our guidelines should yield decent, consistent blood sugar values. He can eat whatever any other healthy 5 year old should eat. You have to add up the carbohydrates of the food he is eating and enter the total number into his pump to bolus for the food. You have to give a meal bolus every time he eats, no matter how often, unless you are treating a low blood sugar and you are giving him a 15g carb snack to bring his blood sugar up then you do not want to bolus for the 15 carbs. can override if necessary. Please call me if it suggests more than 1.0 units. Once you are satisfied with the amount, hit the right button and you will see it deliver. Again, it will beep once it’s done delivering. If his bg is higher than 250 for 2 bg checks in a row which are 30 minutes apart and his blood sugar is not going down. ________ will check for ketones using the ketone meter in her office, it is essentially the same, prick finger, draw blood, it will give you a reading in 30 seconds. If he has any ketones, give him water and call me. You don’t want to drop him more than 100 points in an hour with ketones, it can cause brain swelling. He can develop ketones very quickly on the pump. Exercise is dangerous with moderate to large (over .3) ketones. He can not participate in gym class if he has ketones over .3.
takes 2-3hours for the insulin to fully work. If he is over 280 2 hours after he has had a snack or meal, you should give him insulin via a correction on the pump. <50 give him 20g fast acting carbs & after a few minutes some cheese & crackers. Then call me, also re-check every 15 mins until he is over 130. 50-100 give him 10-15g carb & re-check every 30 mins until he is over 130. 1 glucose tablet or 2 oz juice just to be safe. he should start dropping. If his bg remains high after 2 ½ hours and it’s not going down, call us. We may have to do an injection and a site change. He will have to go to the bathroom more often when he is high, his body is trying to get rid of the sugar. So, you may notice him peeing a lot more when he is high. He will also drink a lot more water when he is high. Usually when he is low, he gets sweaty, ornery and just plain annoyed. Sometimes he will act completely normal so you never know, when in doubt CHECK. That is the best rule to follow, along with your instincts. He also can get VERY hungry when low, so don’t be surprised if he eats a lot afterwards. That is fine, just bolus him for the food after you’ve treated the low. Remember not to bolus for the carbs needed to bring up the low blood sugar. Insulin takes over 3 hours to completely work, his pump is programmed to dose accordingly, it knows how much insulin he still has working in his system, we call this ‘insulin on board’. You can check how much insulin on board he has with his pump, you hit ACT, enter any blood sugar value – it doesn’t matter, hit ACT, skip through the number of carbs leaving it blank, then hit ACT and scroll down to see the value. Then back out of each screen by hitting the ARROW key until you see the home screen. Sensor-______’s sensor will show you a blood sugar value every 5 minutes, it will also show you the rate of change with arrows. One arrow means he is going up/down quickly (20-40 points in the past 20 mins). Two arrows mean that he is going up/down VERY quickly (more than 40 points in the past 20 mins). with his meter. Before lunch, he must be checked with his meter. The sensor data should only be used as a reference and not depended upon as an accurate value. If he/she says “I’m low,” especially if during or after exercise. (Remember, this is only an example and must be adapted to your child’s specific needs.) Click below for larger image. Chocolate candy should not to be used unless there is no other source of sugar available. It is often not absorbed quickly enough, due to fats in the candy. If the blood glucose remains low despite treatment and the student is not thinking clearly, the parents or the diabetes team should be called for advice. performance, medical evidence shows that the student should not be expected to perform at optimal levels after a “low” or when “high”. As we begin the new school year, there are a few things I need you to know about my son _____. _____ was diagnosed with Type One Diabetes in __________. He is currently on multiple daily injection therapy for the daily treatment of his diabetes. You will find some detailed information contained in this packet. Below is a quick reference guide for you. Hypoglycemia or Low Blood Sugar must be treated immediately. ______ may say he feels “low” when his blood sugar is either dropping or already low. He needs to treat IMMEDIATELY. ______ has a red box which will hold his meter, lancet, strips, fasting acting sugars, and complex carbohydrates. ____ may test and treat himself immediately if he feels its necessary and is physically able to do so. There is no time to waste when he feels low. Please do not send _____ alone or with another child to another area of the school when he feels low. This is extremely dangerous as he may lose consciousness along the way. Please feel free to call me at ________ immediately if unsure what to do or advise me once as soon as possible to the occurrence of the low. Hyperglycemia or high blood glucose levels also require treatment but are not a short-term emergency. High blood sugar causes damage to the kidneys, eyes and extremities if left untreated for a prolonged period of time. High blood sugar for a child on an insulin pump is often an emergency situation. Please check with _____’s parents for instructions on correcting the high and checking for ketones. 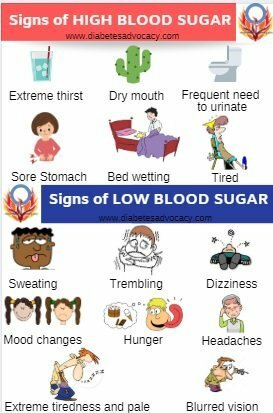 _____ may usually function without symptoms when his blood sugar is just slightly elevated but he will need to use the bathroom facilities often, is often very thirsty. ______ needs to test his blood sugar at least ___ times during a regular school day. If there are any room parties, snacks or treats during the day, please tell me ahead of time so that ______’s insulin can be adjusted or I can make allowances for snacks. NEVER allow _____ to eat any treat without first clearing it with me. Diabetes who properly manage their diabetes and take short-acting insulin can enjoy all foods. It is necessary that we know of all treats that are going to be served in the classroom at least one day in advance so that we can adjust ____’s insulin needs accordingly and plan ahead so that ______ can participate in the celebration without any downtime. 3-3.7mmol/L give him: one juice box. If machine reads HI or LO call me. not then icing or the Insta-Glucose that he carries. Any advice or information you may receive through this website or our mailing lists is not guaranteed and should always be discussed with your health care provider. All links are provided for your convenience and further do not signify any endorsement on our behalf.